Dovetail on Overend was on my hit list and when I finally went I was kicking myself that it took me so long to go there! Boasting a fresh, interesting menu great coffee and free gluten free options I was excited to say the least. The all day breakfast and lunch menu was simple but made for a difficult choice! 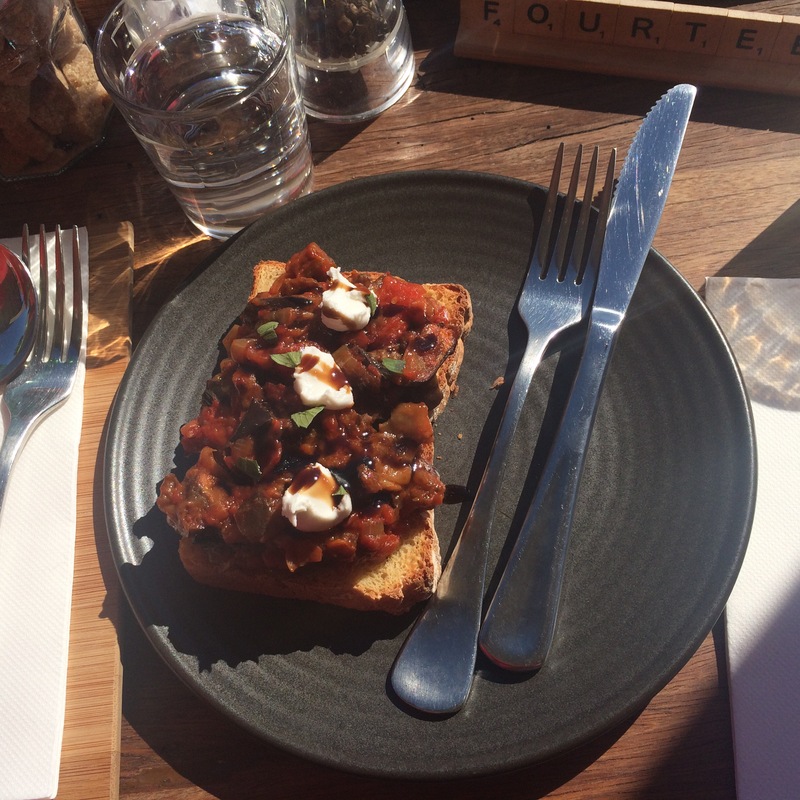 We decided for the Caponata Sicilian $10.90 (Delicious Sicilian dish with grilled eggplant, capsicum & caramelised onion on toasted bread with witches chase goats cheese and balsamic glaze). I made use of the free gluten free options and the bread was very tasty and light for GF. 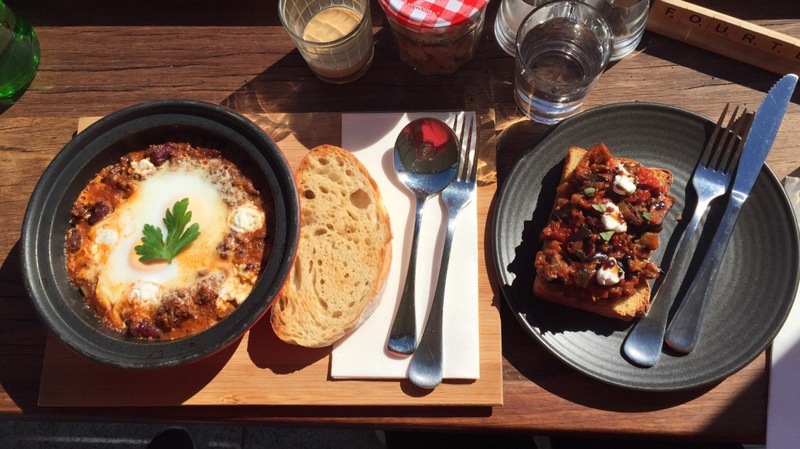 Baked Eggs #7 $15.90 (two free range eggs, beef Chilli Con Carne & witches chase goat’s chase cheese with toasted sourdough). 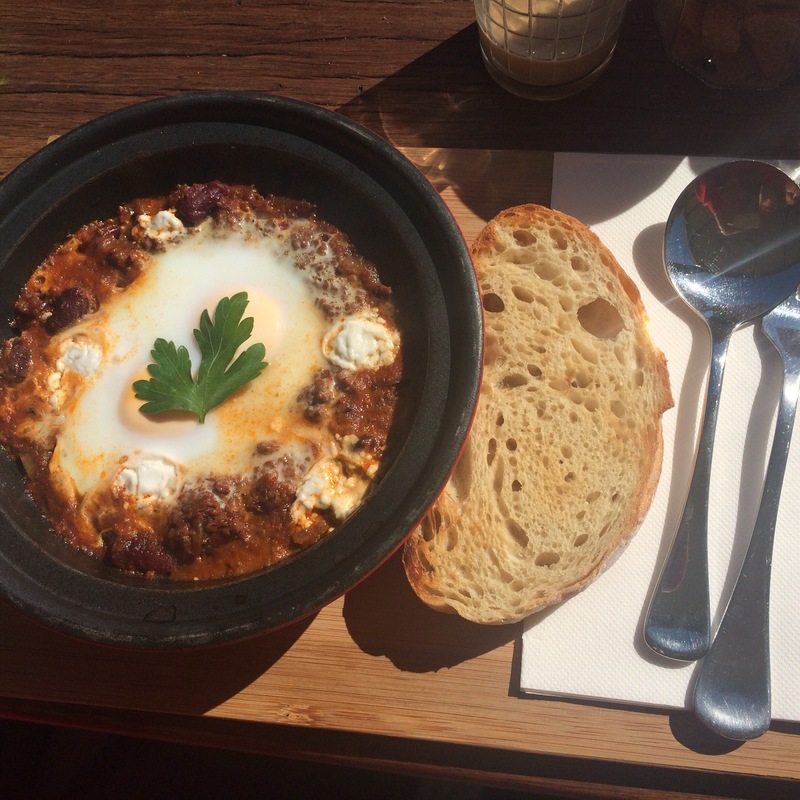 The chilli was delicious and not too spicy and the egg was cooked to perfection. 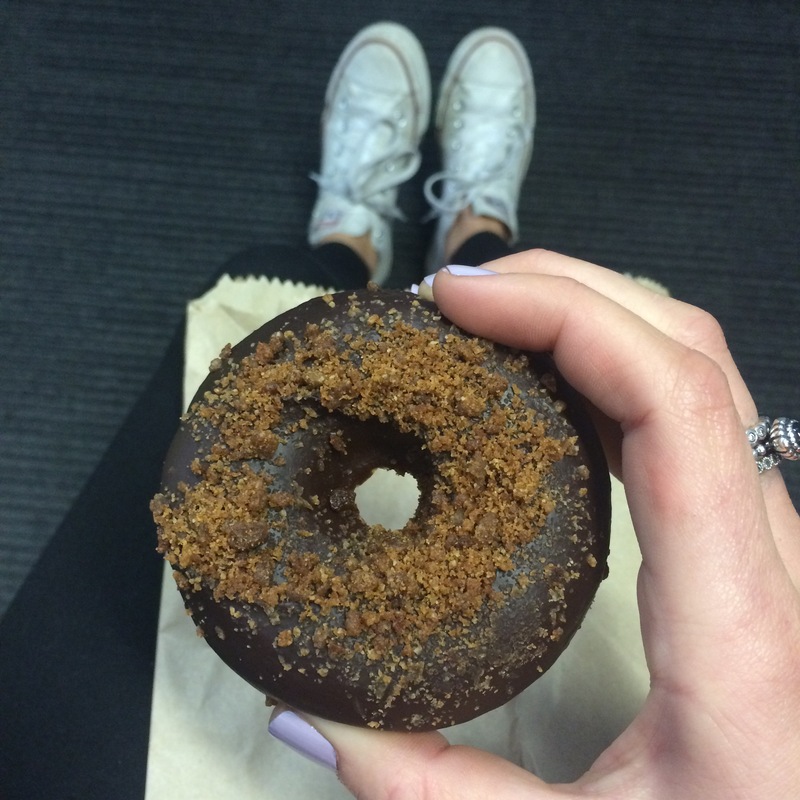 We were lucky enough to time our visit with a Nododonut Day! The cafe gets deliveries twice a week and when we arrived at midday there were only 4/50 left! The flavour of the day was Maple Pumpkin with Dark Chocolate and a Honeycomb Crumble – they were organic, gluten free and DELICIOUS! Dovetail serves locally roasted and award winning Uncle Joe’s coffee. We tried the home made cold pressed coffee which was delicious. The cold drink menu looks interesting too! Part of it’s charm is that you would never find Dovetail on Overend unless you were really looking! Located on the corner of Overend and Dickens Street in Norman Park. The cafe has all outdoor seating and an friendly open kitchen. All of the waitstaff were very accommodating and chatty. They made us feel at home rather than out to lunch. We met owner Adam who was busy working away but still had time for a chat with everyone! He explained how the large variety of gluten free options is due to his wife’s diet and how she makes most of the gluten free sweets on site! 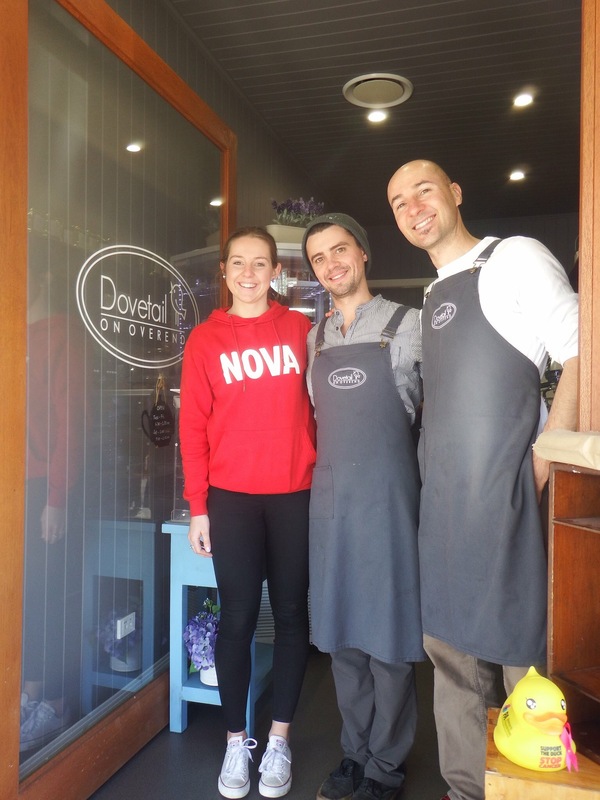 The Verdict: I thoroughly enjoyed my experience at Dovetail and Overend and am already looking forward to my next visit. Overall 9/10.